APAC Realty’s 1H18 earnings rose 8.7% y-o-y. APAC Realty’s 2Q18 gross revenue rose 24.2% y-o-y, while net profit declined 9% y-o-y, mainly on lower gross margins. These lower margins were mainly on two factors: higher payout of commissions to agents for new sales and an increase in co-broke transactions in the resale and rental segment during the quarter. However, net profit margins rose to 6.3% in 2Q18 (1Q18: 5.6%) on lower personnel expenses. This was due to a reversal of over-provision of staff bonuses and lower allowance for doubtful debts. During 1H18, the non-brokerage segment’s gross profits accounted for 16.1% of total gross profits. Healthy market share position maintained. For 2Q18, APAC Realty’s real estate agency brokerage services brand ERA secured a healthy private primary sale market share of 43.5% (1Q18: 37.3%) and private resale market share of 38.7% (1Q18: 35.8%). These were based on the company’s estimates. The healthy market share position augurs well for 3Q18’s results, as there is generally a time lag of 1-6 months between transaction completion and earnings recognition. For 1H18, ERA Realty Network’s market share – as percentage of overall transaction value – stood at 37.5% (2017: 37.9%). APAC announced an interim dividend of SGD0.02, which corresponds to a 52% payout ratio. We expect the company to potentially pay another ~SGD0.02 dividend for 2H18, which translates into an attractive yield of 6.3% based on the last closing price. Sales volumes slower, but not dried up. Post cooling measures, sales volumes across new launches have been fairly holding up, with developers seen offering attractive discounts to mitigate the impact of these measures. We understand that > 250 units have been sold across Riverfront Residences, Park Colonial and Stirling Residences since 6 Jul, in addition to the 1,000-plus units sold on 5 Jul. Recent launches The Tre Ver (140 units sold on launch day) and Daintree Residence (50 units sold) have also seen fairly reasonable demand due to attractive pricing. The above reiterates our view that buying demand is still fairly strong, based on project pricing and location. ERA Realty Network has been appointed as an agent for 15 new launches since the start the year, with 25 more projects secured for 2H18 and 2019. We also expect secondary market volumes to remain resilient, as we expect the slowdown in the en bloc segment will result in the release of more resale units back into the market. Maintain BUY with an unchanged Target Price of SGD 0.77, 22% upside. Our DCF-derived Target Price is based on 8% WACC and 0% TG. 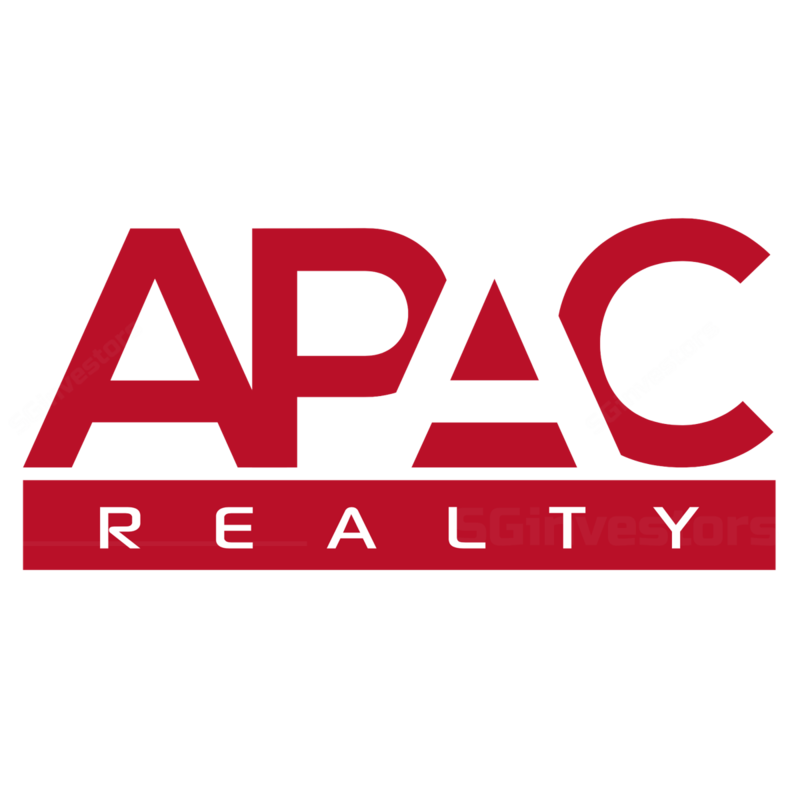 APAC Realty is currently trading at 9.6x FY18F P/E. Its closest peer, PropNex, is trading at 13.6x historical FY17 P/E, a 58% premium to APAC Realty’s FY17 P/E. Upside could come from better sales volumes and expansion of its business, which we have yet to factor in.